It’s here! It’s here! 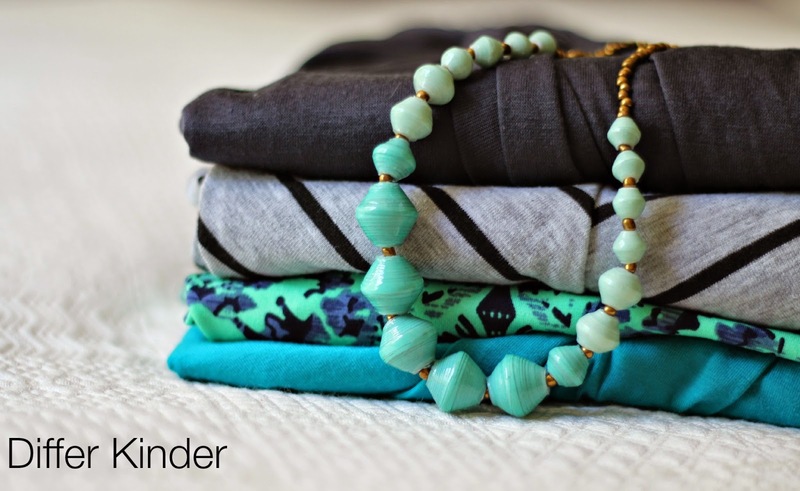 My Stitch Fix is here! This is number 4 for me. I look forward to this day for weeks, and when it’s here, it’s so much fun. I love having someone pick clothes out for me, and it’s such a treat not to have to go shopping and try on clothes without all my other clothes available. 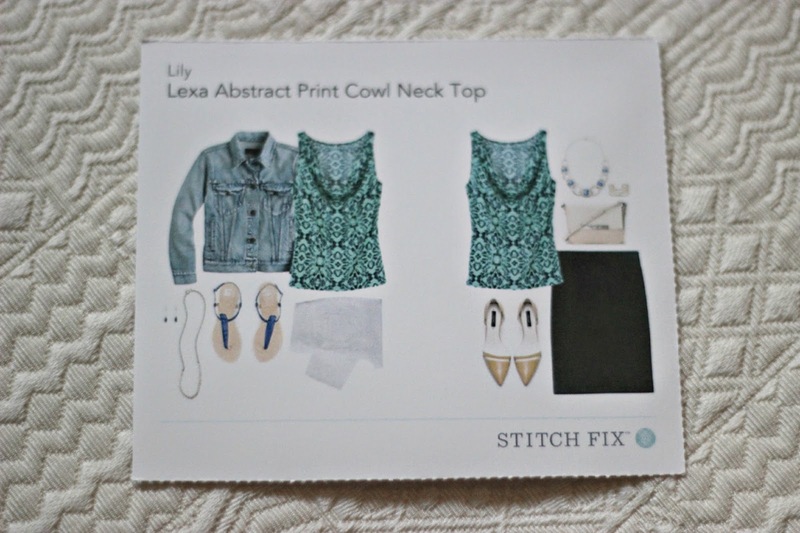 Stitch Fix is my guilty pleasure. So I know what you’re asking? 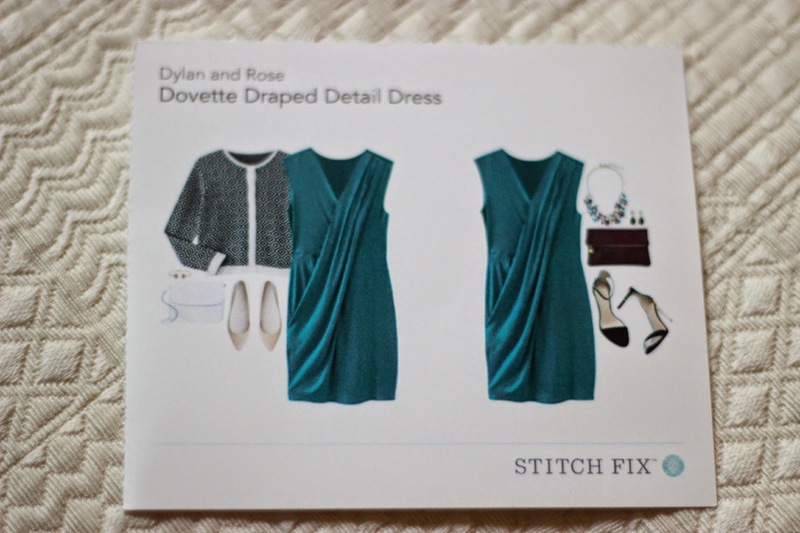 How does this Stitch Fix Work? 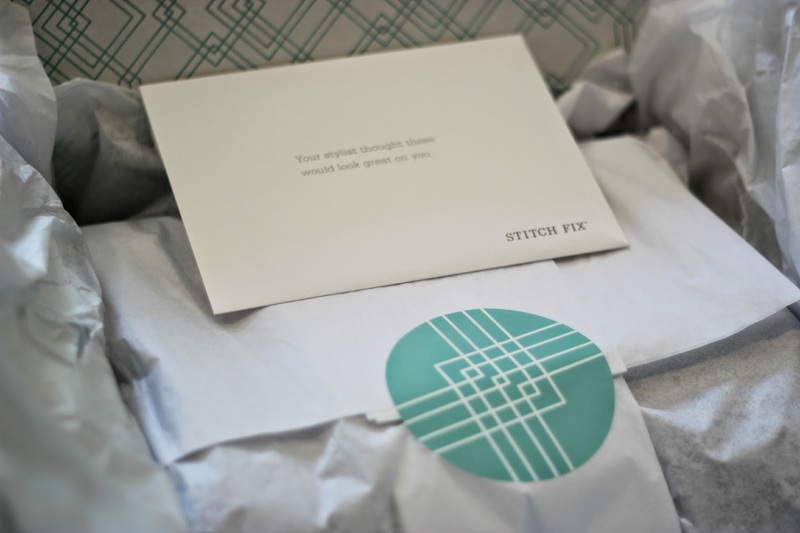 Stitch Fix is an online service that takes the information you give them about your likes, style preferences and sizes and picks out pieces for you to try on at your convenience in the privacy of your own home. It’s easy! And, it’s fun! This little box will become your new best friend. 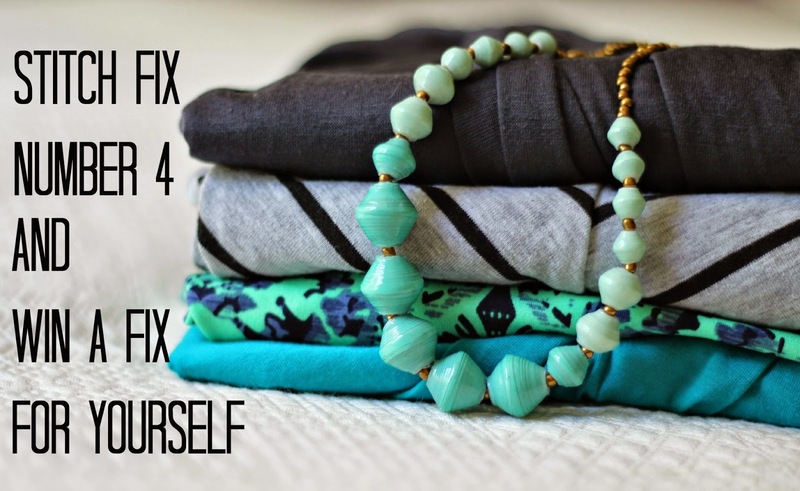 First you head over to Stitch Fix (just click HERE) and complete your personal style profile. Link your style Pinterest board (You’ll want to start one of these so your stylist can get an idea of what you like and don’t like.) 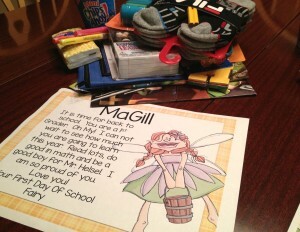 and make sure you provide them lots of information about your lifestyle, work and how you feel about your clothing style. Then wait for your personal Fix to arrive. When you open it, this is what you’ll see. It’s a personal note from your stylist explaining what she picked out for you and very explicit style cards that show you how the items will fit in with your existing wardrobe. And then it’s time to open it up and see what’s inside. What might I have inside? Well, here’s a glimpse at the colors and textures I was sent this month. Love all those greens and the charcoal piece at the top was calling to me . . . ‘hurry up…I’m dying for you to try me on. But I have a system for trying on my things. I like to make it last and savor the fun of it. So I look over the style cards and grab the pieces they suggest I use with my fix and then . 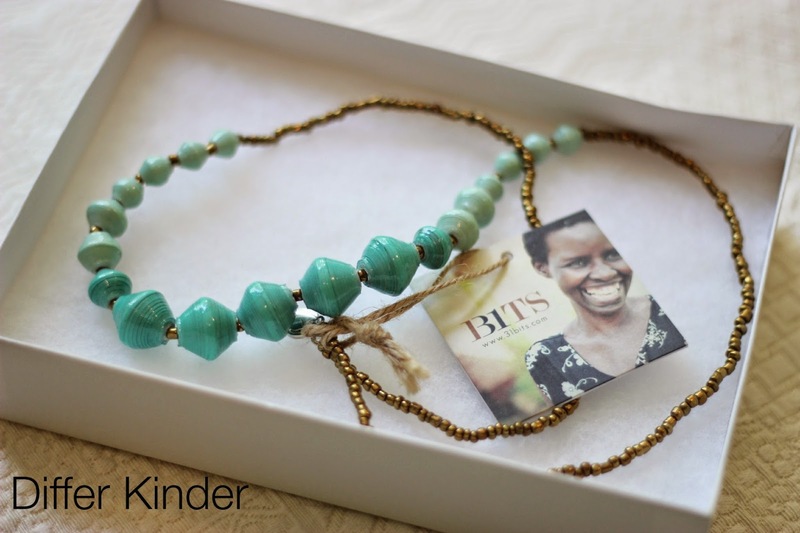 . .
First item up was this gorgeous Annabelle Long Beaded Necklace by 31 Bits. It is seriously beautiful. The color is perfect for me. So perfect that I have about 3 other necklaces the same color. As much as I love it, I couldn’t really justify another one so similar. Next was a charcoal Rylee Waist Twisted Maxi Skirt by Ark n Co. It was LOVE at first sight with this one. 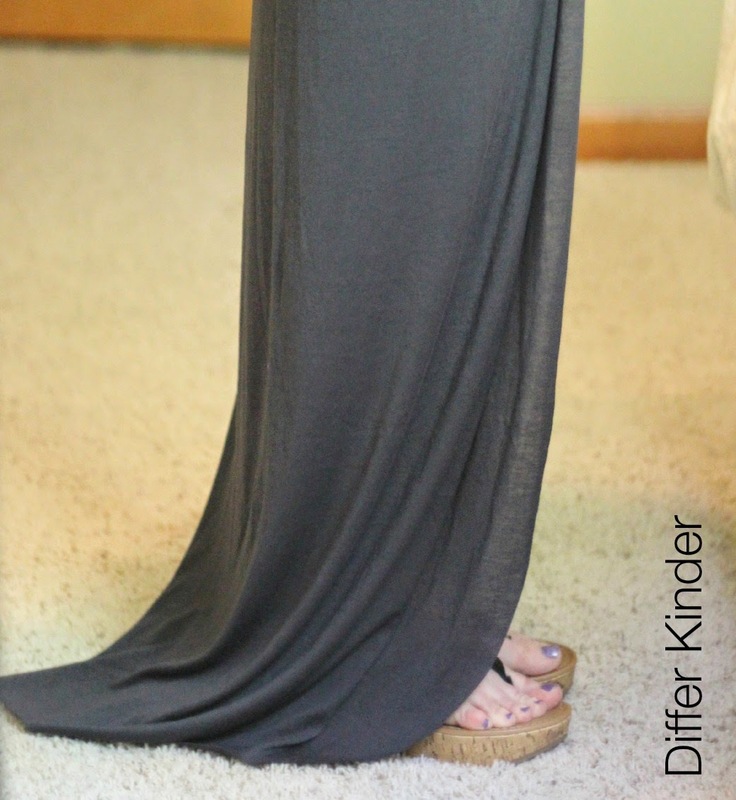 You might think, ‘so what, another maxi skirt.’ But this skirt has style. The twisted waist gave just enough umph to put it in a class by itself. Check out this detail! And when you spread the overlap in the front apart, you get this little mini skirt (for protecting your nether regions on windy days) underneath. This was my absolute favorite item in the box, and I wanted to keep it so desperately, but there was just one small problem . . .
. . . it’s about 6-8 inches too long. This isn’t even one of those skirts I could possibly fold over at the top (believe me I tried). I just kept stepping on it over and over. I’m so sad! I love it so. And then next there was this Lexa Abstract Print Cowl Neck Top from Lily. I would have NEVER picked this out for myself. The pattern would have been enough for me to shy away from it. But that’s what I love about Stitch Fix, they let me wander out of my comfort zone. So I took a look at my style card and found a black skirt to pair with it first. Not bad, but I loved it most when I paired it with the suggested white jeans. Yep. This one is a keeper. You’ll be seeing me in this in Vegas if you’re attending the ITK and/or TpT conference in July. 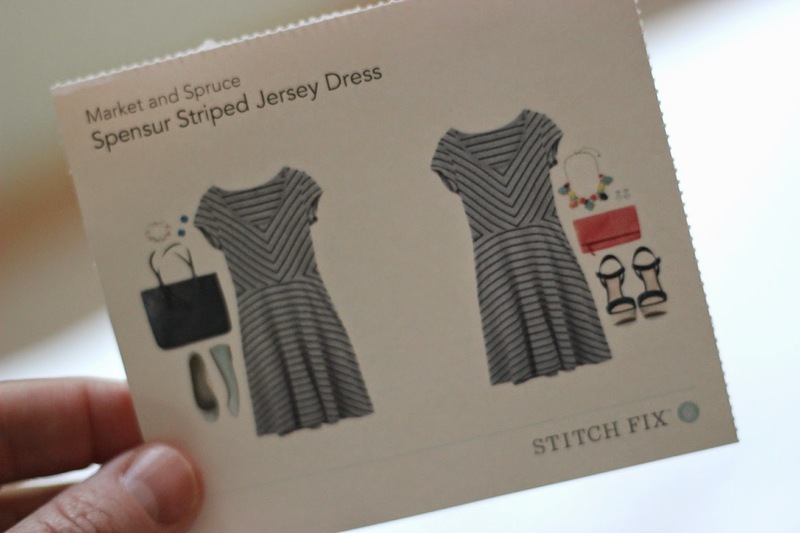 Item number four in my box was a Spensur Striped Jersey Dress by Market and Spruce. The fit was ‘spot on.’ It even fell almost above my knee (yippee), but the color gray has never been a ‘great’ color for me, and I thought the style was just ‘ok.’ I kind of feel ‘meh’ in it. It’s not hideous, but I don’t feel especially stylish or confident with how it looks either. 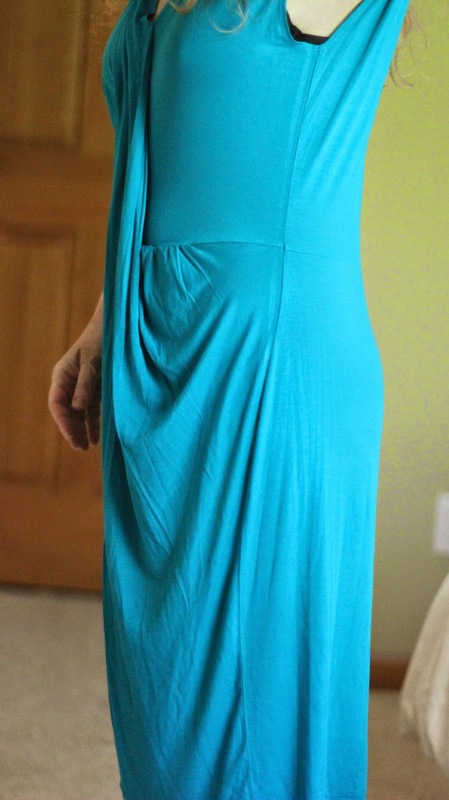 And lastly, I found a Dovette Draped Detail Dress by Dylan and Rose in the most amazing color ever. I picked it up and thought, ‘WOW’ now that’s color, and the color was fabulous. But the fit wasn’t good. (I pulled the back of it together with a clothes pin to see what it might look like a bit smaller for the picture above. It’s nice isn’t it? I think it would great in a smaller size.) But in a medium, it gaped under the arms and basically just hung like a drape on me. Dang it! I think it was just too big and too long. I would have probably done better with a size smaller and about two or three inches off the length. Which is a bummer, because the color was kind of fabulous when I put it on too. What happens after I decide which pieces I want to keep and which I want to send back? 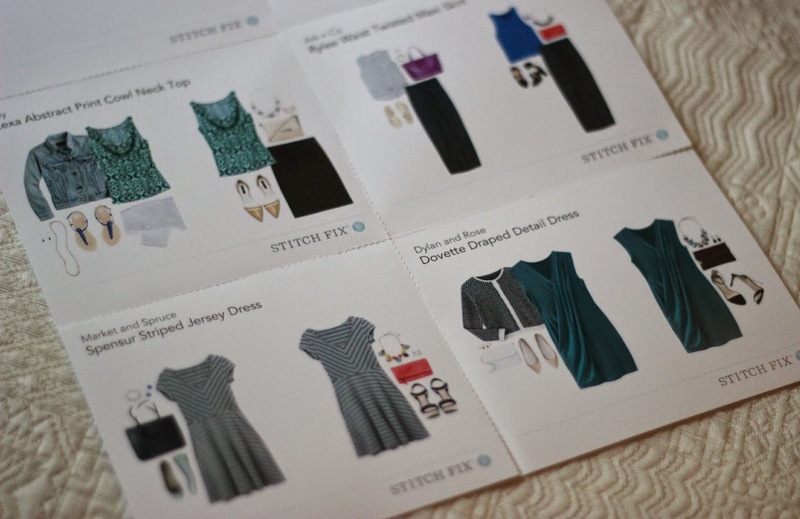 Once you’ve decided what you want to keep and what you would like to send back, you go back into your account and ‘check out.’ Checking out means letting Stitch Fix know what worked and why and what didn’t work and why. (Remember, the more feedback and information you give them, the better your next Fix will be!) Then you place all the items you love in your closet, and then place all the ones that you don’t want to keep in the PREPAID (That’s what I said, it costs your nothing to return them.) postage bag and you send them back. You are only charged for the items you keep. It makes returns so easy and convenient. So all in all, I loved most of the pieces, but I had some problems with sizing. I think I’m still a moving target when it comes to size. Although I’m at the size I want to be and I’m pretty much in a holding zone for weight loss, I think I’m still trying to figure out my own sizing and what looks good on my new smaller frame. 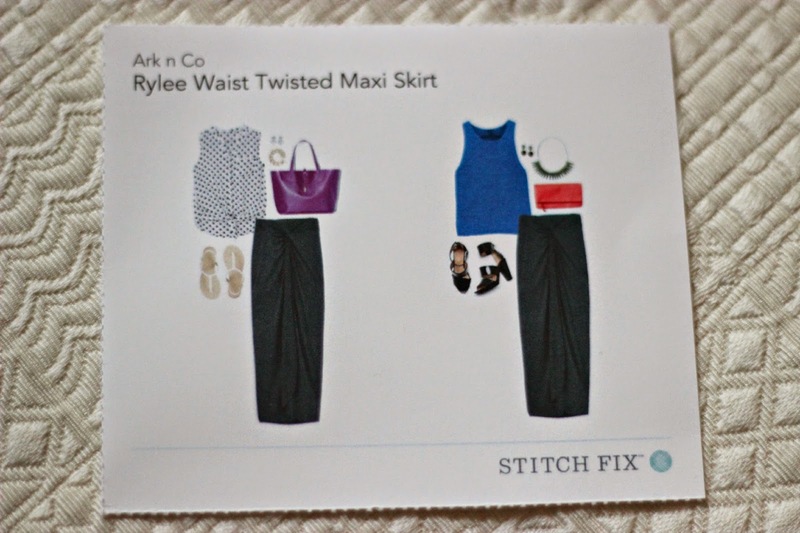 It’s a good problem to have, and I’m glad to have Stitch Fix help me though it. Now it’s your turn. 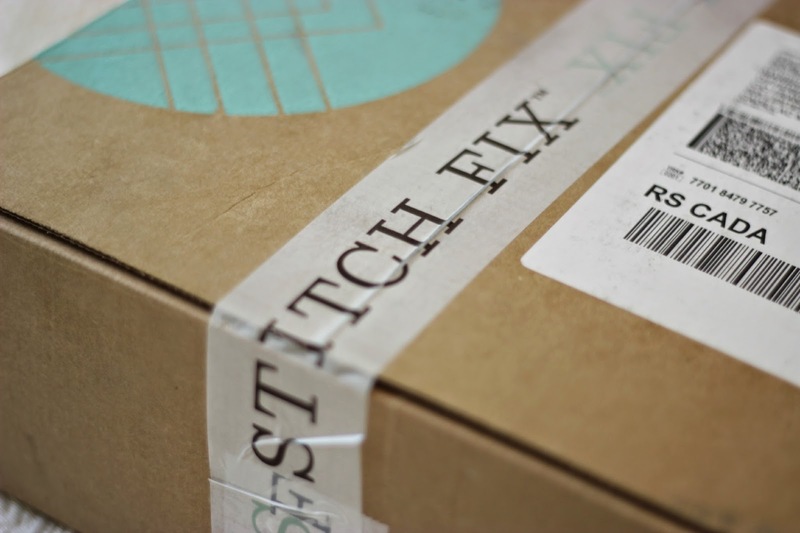 If you want to get your own ‘fix’ or learn more about Stitch Fix, just click on the button below. I have one more fix schedule before I head off to Vegas. So make sure your check back to see what’s in my box. And hey, my friend Maria, from Kinder-Craze got her fix this week too. 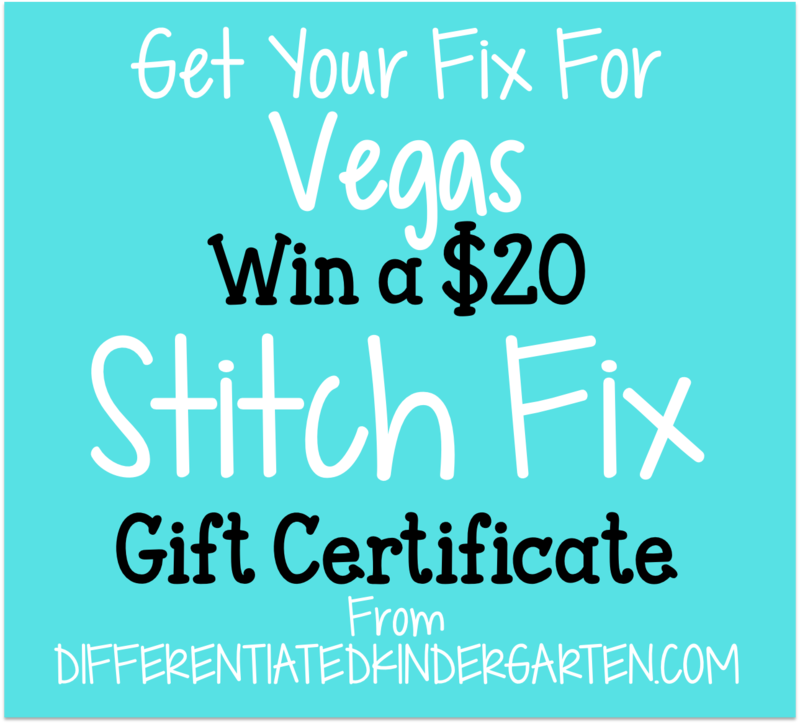 Head on over and check out hers and enter to win her giveaway for a Stitch Fix gift certificate too. Just click on her button below to take you there. Good luck to this month’s winner! 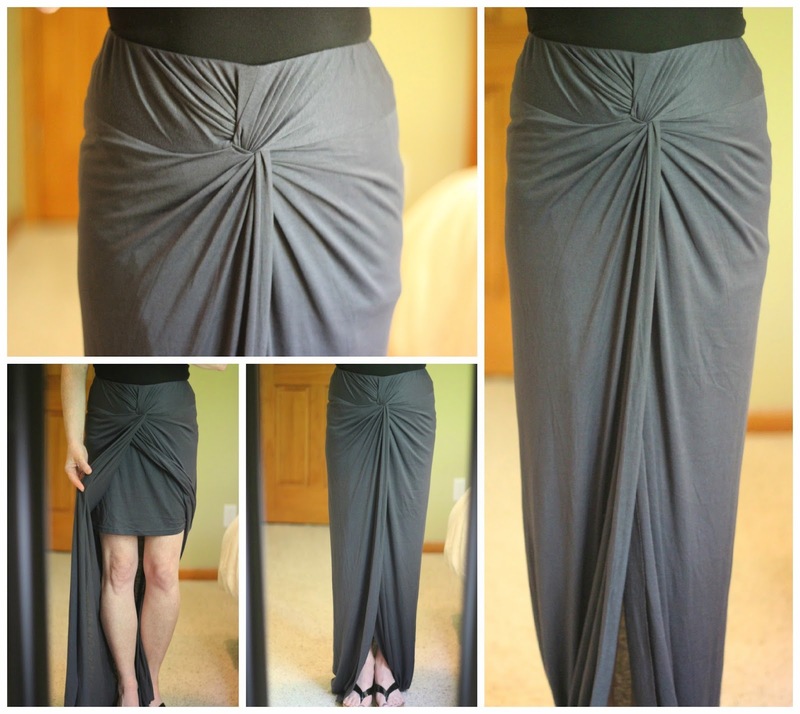 Keep that awesome skirt and see if someone can get it tailored. It just needs to be hemmed. I know easier said than done. 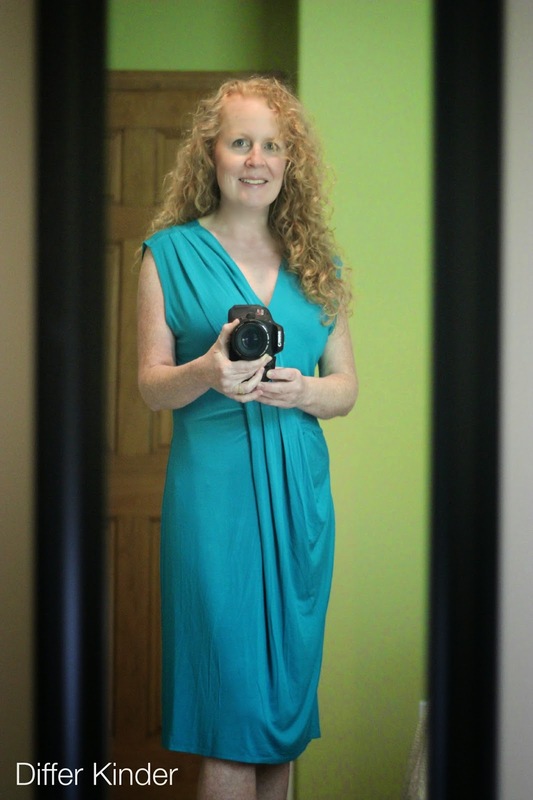 I’m short and need everything hemmed up. It’s adorable! Woo to the hoo on Vegas….counting down…..second had to send the link to my sister as her name is Lexa …..:) Thanks for the chance ! !